Home Blog Check Out What's New For 2019! As we slowly start to approach this year’s gardening season, we’re getting excited about lots of great products that NEW to our range of Outdoor Water Features! We can’t wait to see a bit of sunshine, and to be able to enjoy our gardens, sat out in the warmer weather, and we have lots of great new water features that can help to make your garden even more of a relaxing paradise! Whatever your favourite style, we have something to match your outdoor space, if you’re looking for something to update, your garden, patio, decking or balcony, check out just some of our fantastic new designs in this blog in stock now or coming soon to UK Water Features! Take a look at some of our stunning contemporary styled water features! If you’re looking to update your modern garden this spring and summer, some of these brand new items might be right up your street! We love the unusual design of this one! Our Argenta Zinc Water Feature has a fabulous sleek feel to it and will be perfect for adding a focal point to any modern space. It will surely add tranquillity to your garden, and its durable and strong materials means it can be enjoyed at all times of the year as it can withstand harsher weather conditions. A similar look to the above feature, we also love this Sarzana Zinc Water Feature and the addition of greenery on the top, giving it an all round stylish and modern vibe! We love the added light effect of our Pouring Glowing Globe feature, and the trickling effect will create a lovely, relaxing sound to enjoy outside this summer! The rustic effect also makes this feature able to match more natural gardens and contemporary spaces alike! The addition of stainless steel to a water feature instantly gives a piece an instant contemporary vibe, as lots of our new models showcase this! It’s no exception for our Rappallo Zinc Water Feature, we love the built in sphere at the top of this feature as well as the effect that the built in fountains create. Not only do they create a great visual effect but also allow for tranquil sounds to be made as the water hits the pool below! Ideal for decking or paved garden areas, our Rectangular Grey Pillars Feature will add a rustic feel to your space and with the underwater lights illuminating the feature, it’s an item that can be enjoyed at all times of day and night! This modern designed feature is made from polyresin and is hand finished to an excellent standard, making is a fantastic feature that you can enjoy in your garden for years to come! Our new Malaga Ceramic Water Feature will be a stunning addition to any modern or traditional garden, and the neutral colours and curved edges make it blend into any garden really easily if you wish, or to add as a focal point, stand the feature alone in your garden or patio or place on top of a wall or other outdoor surface. We just love the simplicity of this feature, our Black Bubbling Column will look amazing in any contemporary garden! Sometimes just a minimal style like this can have such a great effect in a modern space, and with the built in LED lights showcasing it in the night time too, it’s an impressive piece for all times of day! If your garden has more of a natural or traditional feel, we have lots of great new Outdoor Water Features that will match your style too! Add our Extra Large 5 Falls Woodland Water Feature to your outdoor space for an impressive focal point reaching over 2m high! Fully self-contained, this feature is easy to maintain making it perfect for commercial use too! Perfect for a natural space or for adding something really special to a woodland wonderland style of garden! Or how about our new Stacked Slate Monolith Feature that is much more compact than the previous at just over 1m tall, but it has a great natural feel from the realistic looking polyresin ‘slate’, another feature ideal for any garden or paved area! For a traditional, country garden feel, why not try our new Granada Ceramic Water Fountain or our Urna Fountain Water Feature? Both perfect for adding the peace and tranquillity you’re looking for in your garden as well as adding a very attractive decoration too! These features are fully self-contained and are low voltage so have low running costs – another bonus! The tint of blue or green is also great for adding a subtle hint of colour to your outdoor space too. Fancy something a little more quirky? Our Bathtub Water Feature is new to our Outdoor range this year and is ideal if you’re looking for something a little more unusual! With the removable planter in the tub too, you can add your own favourite flowers to really turn this into a personalised feature for your back garden! Are you ready for some summer vibes already?! Our Flamingo Water Feature is perfect for adding a tropical feel to your garden and will certainly add colour and charm to any space! All our features are complete kits containing the feature, pump, transformer and lights (if applicable) so you can be ready and enjoying your new features in no time! Home is where the water feature is! So why not add our Alpine Home Water Feature to your garden this spring/summer?! This design will definitely add rustic charm to any outdoor space, making it perfect for traditional styled gardens! It has built in white LED lights so will look fantastic at night too! We love this Aztec Jugs Water Feature, another design that’s new to our range for 2019! Great for an Aztec or Mediterranean styled garden or for commercial use too! This hand finished feature is great for both indoors or out and the LED lights will make it just as eye-catching during the night time as well. We hope you’ve enjoyed this little peek into just a handful of the new water features available on our website this year! We’re really excited about all the new designs we have available this gardening season! 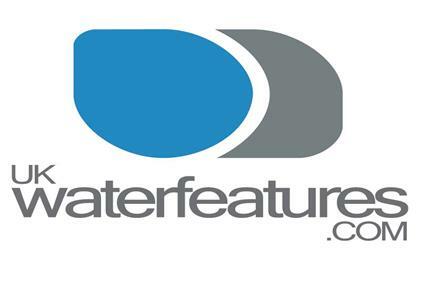 Head over to our UK Water Features website today to find out more, and to find the perfect new feature for your garden this spring and summer!